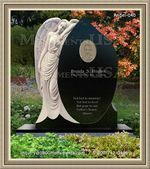 There are many funeral gift ideas which you can consider giving a bereaved friend or family member. Providing a helpful gift will go a long way in making the life of the affected persons easier. It will also show them that you care enough about them to support them during this difficult time in their life. In most cases, friends or family members may have photos of the deceased person that the bereaved persons do not have. You can do the family the favor of compiling a photo album of the deceased and giving it to them. You can do this even after the funeral. The bereaved will appreciate the memories of their loved one that you share with them. 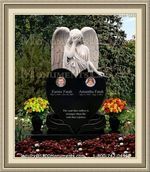 You can make a donation in honor of the deceased person. This could be to one of their favorite charities or causes they were committed to. Most organizations send an acknowledgement to the family members when a donation is made in memory of their loved one. Just make sure to include the address of the family at the back of your check. Consider taking some food to the bereaved. Taking some no-perishable foodstuff is a good idea, in case the family receives a lot of perishable foodstuff from other people. Also, it may be better to take the food a few days or weeks after the burial. You can offer to clean their house or mow their lawns for them. This is because the bereaved often have a lot of activities to carry out and household tasks may be neglected. Alternatively, you can hire them a cleaning service to help them cope with the house work for a few weeks after the burial. 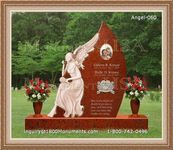 When thinking about funeral gift ideas, do not just think about physical presents. Consider intangible presents such as spending time with the bereaved. Simply being there and available for them could be quite comforting.